For arthritis, joint pain, sports injuries, and systemic issues like COPD and kidney disease, a new approach to safe, effective joint and body structure restoration is amniotic derived stem cell therapy. This approach provides a promising alternative to surgery. Why is amniotic derived stem cell therapy important? Researchers have discovered that amniotic fluid has a high concentration of stem cells or stem cell activators, which is more than adult bone marrow. When processed in a laboratory, the biologic material ends up containing important regenerative properties, such as stem cell activators, growth factors, and hyaluronic acid. How do amniotic fluid stem cells work? Amniotic fluid stem cells play a major role in the body’s healing process. These cells receive signals from the body and are directed to the injured or damaged site. Stem cells can transform into the same type of cell that was injured, including bones, tendons, tissues, and ligaments. Stem cell therapy delivered in high concentration will promote natural healing. How are amniotic fluid stem cells given? The stem cell therapy procedure is simple, taking only around 15 minutes. The doctor first often numbs the region using lidocaine. Then, the procedure needle is inserted using fluoroscopy or ultrasound (x-ray guidance) to assure correct placement. Then, the amniotic fluid derived stem cells are injected into the joint or damaged body region. After the needle is removed, a dry bandage is applied. For systemic conditions, the amniotic derived fluid is administered by IV infusion. Who is a candidate for amniotic fluid stem cell procedures? What is involved in recovery following an amniotic fluid stem cell injection? You should attempt normal activity following stem cell therapy. In addition, range of motion activity is encouraged. For an extremely active person, we advise rest with only normal activity (walking, sitting, stair climbing) for a few weeks after the procedure. Expect to have some soreness at the injection site, which will improve after a few days. Does amniotic fluid derived stem cell therapy work? Amniotic derived stem cell therapy has been studied in both musculoskeletal and system indications, with excellent results being seen to date. 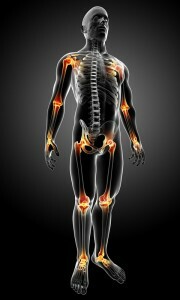 This includes for knee arthritis, tendonitis, shoulder injuries and organ failure. Several clinical studies show that amniotic stem cells have the potential to differentiate into cardiac cells. In one study, after co-culturing and mixing cells in the laboratory, the researchers injected rat subjects with the solution. They found that the stem cells formed cardiac-like cells. Injection of amniotic stem cells improved function of cardiac tissue and left ventricle function. Other studies have shown that amniotic stem cells could differentiate into renal (kidney) cells). In addition, the stem cells contributed to early kidney structures, such as mature nephrons in animal studies. Researchers also found that these stem cells slowed the progression of thekidney disease Alport syndrome. What are the ethical aspects of using amniotic fluid derived stem cells? Since the amniotic stem cells come from donated amniotic fluid obtained during cesarean section, there is zero-risk to the unborn child. The fluid is usually discarded after birth. After the amniotic fluid is separated from the placenta, it is tested for various genetic abnormalities and processed at an FDA regulated lab. What are the benefits of amniotic stem cell therapy? Many reports show that amniotic fluid stem cells are useful for treating wounds, corneal injury, spine conditions, and tendon tears. 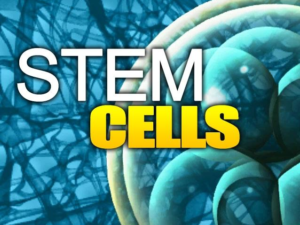 Amniotic stem cell injections have been used well over 10,000 times in the U.S. with no adverse reactions. De Coppi P & Morigi M (2014). Cell Therapy for Kidney Injury: Different Options and Mechanisms – Mesenchymal and Amniotic Fluid Stem Cells. Nephron Exp Nephrol 126: 59–63. Hsu LW, Yeh YC, Lee WY, et al. (2010). Cardiac repair with injectable cell sheet fragments of human amniotic fluid stem cells in an immune-suppressed rat model. Biomaterials 31: 6444–6453. Sedrakyan S, et al. (2012). Injection of amniotic fluid stem cells delays progression of renal fibrosis. J Am Soc Nephrol 23: 661–673. Call R3 Stem Cell Centers today to find out more about how amniotic regenerative medicine therapy can assist you!